The encyclopedia Die Musik in Geschichte und Gegenwart is now available as an online database. MGG Online, a digital encyclopedia containing the entire second edition of Die Musik in Geschichte und Gegenwart along with updated and new content, was launched on 1 November 2016 on a powerful platform with the most up-to-date search and browse functions, integrated translation, sortable works lists, and much more. Today, 7 September 2016, RILM music encyclopedias has just completed its regular quarterly update. 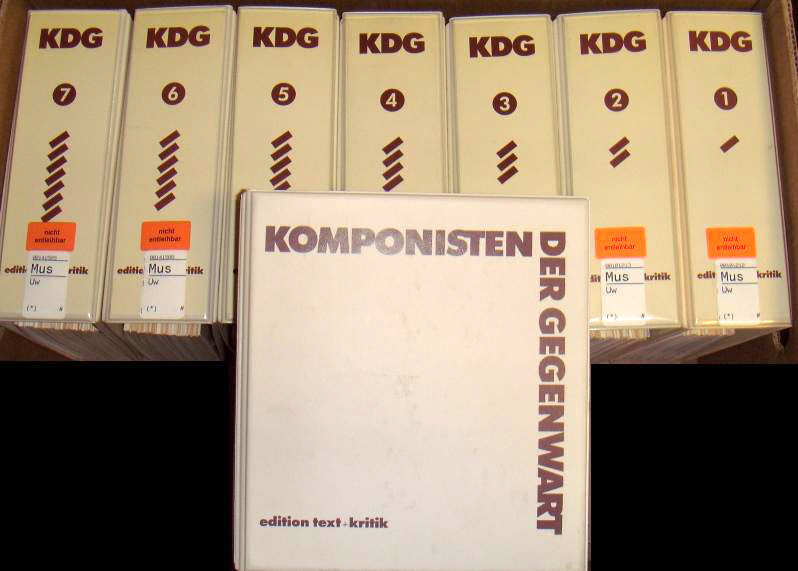 The ongoing encyclopedia of contemporary composers Komponisten der Gegenwart (KdG)—the only music encyclopedia that offers exhaustively complete chronological works lists—offers revisions of the articles on Pierre Boulez, Helmut Lachenmann, Gilberto Mendes, Friedrich Schenker, and Brunhilde Sonntag, and new entries are added for Bill Dietz, Matthias Kaul, William Schuman, Ying Wang, and Peter Manfred Wolf. KdG started as one of those rare loose-leaf encyclopedias whose format allowed them to revise and expand. Many of us recall the thick, unwieldy ring binders (above) that new pages were alphabetized into when they arrived in the mail. Users of RILM music encyclopedias no longer have to cope with these bulky volumes, and their updates appear online every three months! Below, Lachenmann’s Mouvement (- vor der Erstarrung). RILM proudly introduces RILM Music Encyclopedias™, a full-text compilation of 41 seminal titles published from 1775 to the present, the majority of which are not available anywhere else online. 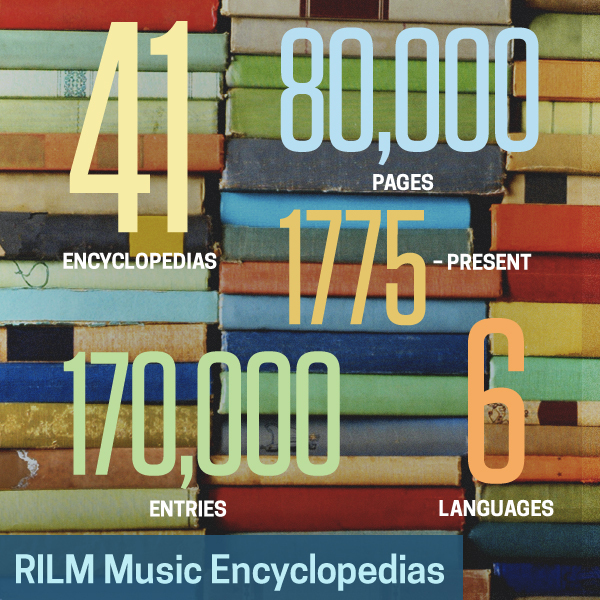 RILM Music Encyclopedias comprises nearly 80,000 pages with approximately 165,000 entries. 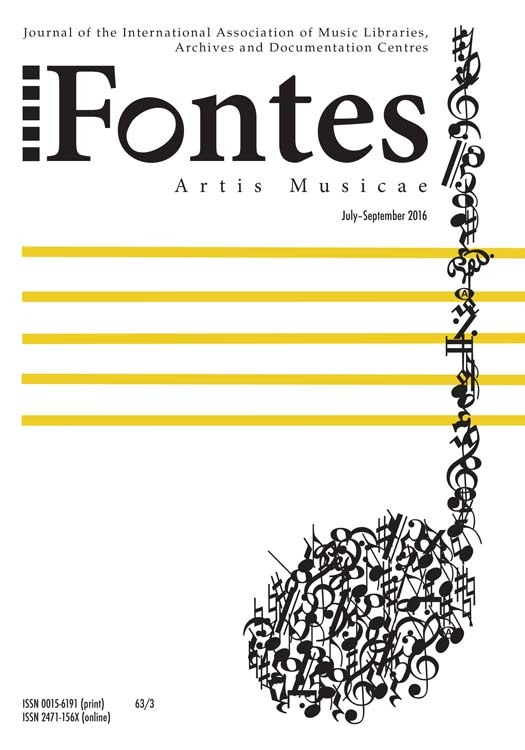 It provides comprehensive encyclopedic coverage of the most important disciplines, fields of research, and subject areas, among them popular music, opera, musical instruments, blues, gospel, world music, recorded sound, and women composers. Its content spans multiple countries, cultures, and languages (including English, German, French, Italian, Dutch, and Greek). It is designed as an extensive global resource that meets the teaching, learning, and research needs of the international music community. New titles will be added annually, ensuring that RILM Music Encyclopedias is musicology’s reference shelf of the future, comprising every aspect of lexicographical writings on music. RILM Music Encyclopedias is available via EBSCOhost®, which brings its expertise to bear on the design of the online database with a user-friendly and familiar platform. RILM Music Encyclopedias is fully equipped with the most advanced search and browse capabilities, allowing for cross searches in multiple languages. It is the only multilingual cross-searchable collection of music encyclopedias in the world.